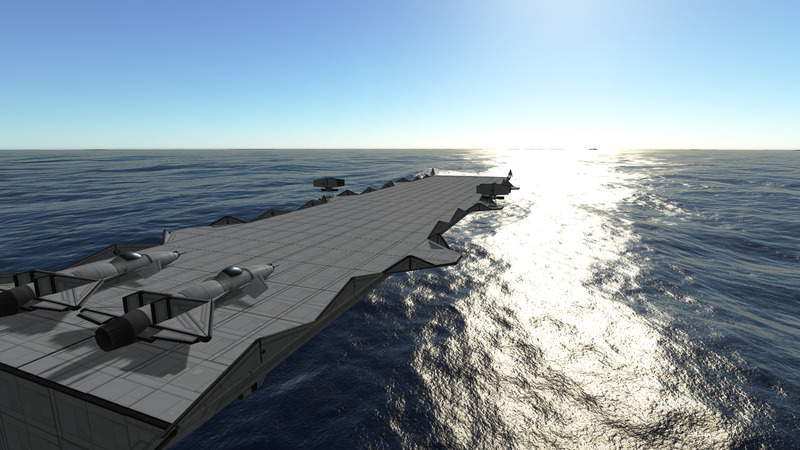 Aircraft Carrier mk2 with planes is built with 943 parts. 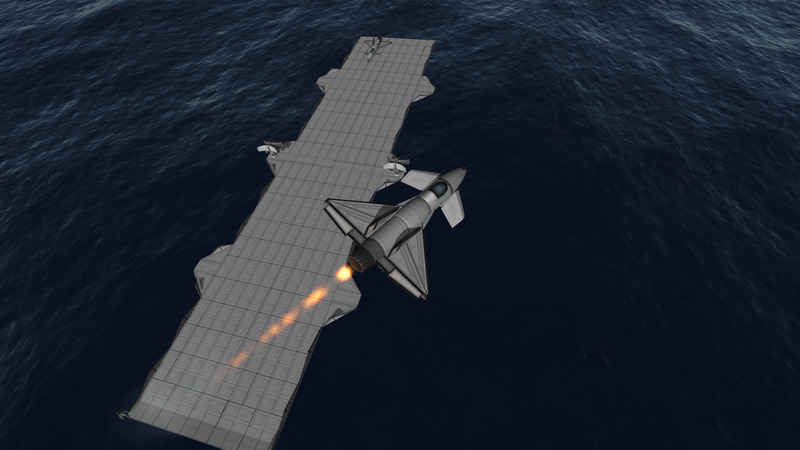 Same ship now with two Ikuchi planes! 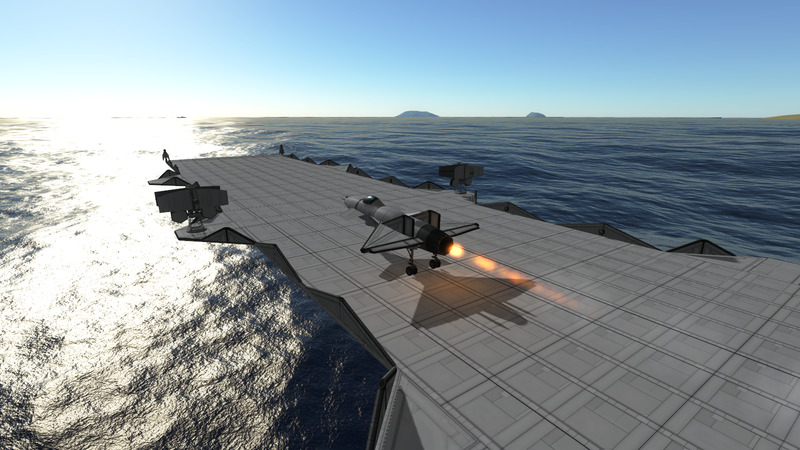 Each one is launched in turn and to get them in the air just extend the landing gear, turn throttle to full (press 1 for afterburner) and pull up when you reach the end of the flight deck. Make sure you put pilots in ALL crew slots! To get the ship in the water just put the throttle to full, turn it off when you go past the rocket launch pad, and put it back to full when you hit the water.